The National Park Service has announced that they will begin issuing 2013 annual Off-Road Vehicle (ORV) permits on Saturday, December 1st and weekly permits on Tuesday, January 1st. ORV permits can be obtained at any of the three NPS ORV permit offices located at Coquina Beach, the Cape Hatteras Lighthouse Visitor Center (Buxton), and the Ocracoke Visitor Center. These offices will be open year-round, seven days a week, except Christmas Day, from 8:00 a.m. to 4:30 p.m., with expanded hours on weekends and holidays during the summer season. The cost of an annual permit (valid for the calendar year) is $120. A 7-day ORV permit (valid from the date issued) will cost $50. Click here to view the most recent map of designated ORV routes. What does this mean for you, our vacation guests? 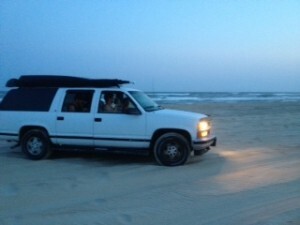 •	One permit is necessary per vehicle someone intends to drive on the beach. •	You can purchase a full year permit for $120 (calendar year) or a 7-day permit for $50 (7 days from date of purchase). •	Driving will only be permitted in specified areas, and those areas are subject to closures due to “resource protection” or if the capacity limit for the area has been met. Click here to view the most recent ORV Routes map. •	The National Park Service website has been updated with FAQ’s. Click here to view their website. Do I need a permit to operate a vehicle off road? Yes. To obtain an ORV permit, you must complete a short education program, acknowledge in writing that you understand and agree to abide by the rules governing ORV use at the Seashore, and pay the applicable permit fee. Both weekly (7-day, valid from the date of issuance) and annual (calendar year) ORV permits will be available. No. There will be no limit to the number of permits that the Superintendent could issue. However, use restrictions may limit the number of vehicles on a particular route at one time. Several of my family members have ORVs that we would like to use on Seashore beaches. Do we need to get a permit for each vehicle? Where can I operate my vehicle off road? Once you obtain an ORV permit, you may operate a vehicle off road only on designated routes. Maps of designated ORV routes will be available in the Office of the Superintendent and on the Seashore website. Does the ORV permit guarantee that all designated ORV routes will be open for me to use? No. In addition to the referenced seasonal restrictions, ORV routes are subject to temporary resource and safety closures. However, past experience indicates that substantial portions of the beach designated as ORV routes will remain open for ORV use even when other sections are temporarily closed. Are there any requirements for my vehicle? •	Have no more than two axles and be equipped with tires that are listed or approved by the U.S. Department of Transportation as described on their website. Click here to assess your tire grade. •	Be equipped with a low-pressure tire gauge, shovel, jack, and jack support board. Can I drive on designated ORV routes at night? Yes, but not at all times on all routes. From November 16 through April 30: ORVs will be allowed on designated ORV routes 24 hours a day, subject to the terms and conditions established under an ORV permit. From May 1 through September 14: Designated ORV routes in potential sea turtle nesting habitat (ocean intertidal zone, ocean backshore, and dunes) will be closed to ORVs from 9 p.m. until 7 a.m.
From September 15 through November 15: Designated ORV routes in potential sea turtle nesting habitat (ocean intertidal zone, ocean backshore, and dunes) will remain closed to ORVs from 9 p.m. until 7 a.m., however, the Superintendent may reopen portions of designated ORV routes at night if there are no turtle nests remaining. This is a minor change to the dates in the ROD. NPS has decided it will be easier for the public to understand and more convenient to administer if the night-driving dates coincided with some of the seasonal ORV route dates. Therefore, night driving may be allowed beginning on September 15 instead of September 16. Routes that are subject to these night-driving restrictions, as well as routes or portions of routes identified as having no turtle nests remaining, will be shown on maps available in the Office of the Superintendent and on the Seashore Web site. Is a separate permit required for night driving? No. It will be covered by the ORV permit required to drive on the designated ORV routes in the Seashore. I have a family member who is disabled or mobility-impaired. Can I use my ORV to drive that family member to the beach where we are gathering, even if it is not designated as an ORV route? Yes, if you obtain a special-use permit for that purpose. The special-use permit will allow you to transport mobility-impaired individuals to a predetermined location in a beach area in front of a village that is not otherwise open to ORV use. You will be subject to the terms and conditions set forth in the permit. Additionally, you should keep in mind that with a standard ORV permit you will have access to many miles of beach open to ORVs year-round or seasonally. In those areas, vehicles may simply be parked in the ORV corridor. ORV corridor means the actual physical limits of the designated ORV route in the Seashore. On the landward side, the ORV corridor on Seashore beaches will be marked when possible by posts that are located seaward of the toe of the dune or the vegetation line. On the seaward side, the corridor runs to the water line, which will not be marked by posts unless necessary. Where the ocean beach is at least 30 meters wide above the high tide line, the landward side of the corridor will be posted at least 10 meters seaward of the toe of the dune. ORV permits: ORV permits are a form of NPS special park use permits, which are issued and administered by the Superintendent and for which the NPS charges a fee to recover its administrative costs. (i) A permit issued by the Superintendent is required to operate a vehicle on designated ORV routes at the Seashore. (ii) Operation of a motor vehicle authorized under an ORV permit is limited to those routes designated in the ORV routes chart. (iii) There is no limit to the number of ORV permits that the Superintendent may issue. (iv) Annual ORV permits are valid for the calendar year for which they are issued. Seven-day ORV permits are valid from the date of issue. (v) In order to obtain a permit, an applicant must comply with vehicle and equipment requirements, complete a short education program in a manner and location specified by the Superintendent, acknowledge in writing an understanding of the rules governing ORV use at the Seashore, and pay the permit fee. (vi) Each permit holder must affix the proof of permit, in a manner and location specified by the Superintendent, to the vehicle covered by the permit for use off-road. Click here to view the most current ORV route access status. Per the new Off-Road Vehicle Management Plan, night driving routes for ORV use will reopen at midnight on September 16 and remain open through November 15, where no turtle nests remain or to the first posted closure in that route. 222 sea turtle nests were identified on National Seashore beaches during the 2012 nesting season. There are approximately 60 remaining nests to date. Due to this record breaking number, please be mindful of sea turtle nest protection areas in effect and note that closure conditions may change on short notice, to include ORV, pedestrian, and pet entry. Closed areas will be clearly marked with “symbolic fencing” consisting of wooden or carsonite posts, closure signs, string, and black filter fencing. ORV routes that will be open to night driving on September 16 are as follows: North of Ramp 4, South of Ramp 44, West of Ramp 44, the Pole Road to Hatteras Inlet, and South of Ramp 67. 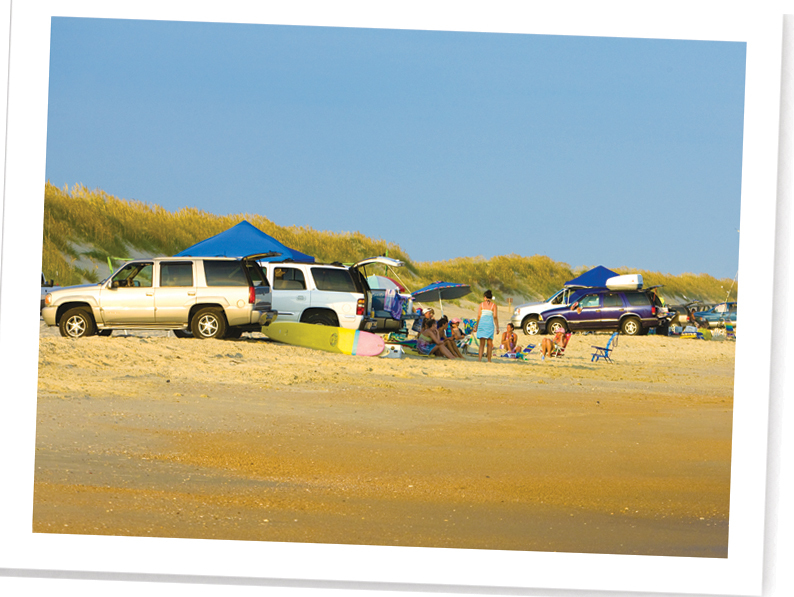 On November 1, the seasonally closed village beaches of Rodanthe-Waves-Salvo, Avon, and the Ocracoke Day Use Area will reopen to ORV use under terms specified in the new ORV Management Plan for Cape Hatteras National Seashore. 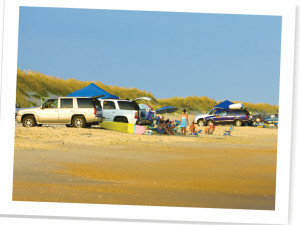 A permit is required for any off-road vehicle use in Cape Hatteras National Seashore. ORV permits can be obtained at any of the three National Park Service permit offices located at Coquina Beach, the Cape Hatteras Lighthouse Visitor Center (Buxton), and the Ocracoke Visitor Center. These offices will be open year-round, seven days a week (except Christmas Day), from 8 a.m. to 4:30 p.m., with expanded hours on weekends and holidays during the summer season. The cost of an annual ORV permit (valid for the calendar year) is $120. The cost for a 7-day ORV permit (valid from the date issued) is $50. You must bring your driver’s license and vehicle registration with you. For further information, please call (252) 473-2111 ext, 148 or check out the Google Earth map.